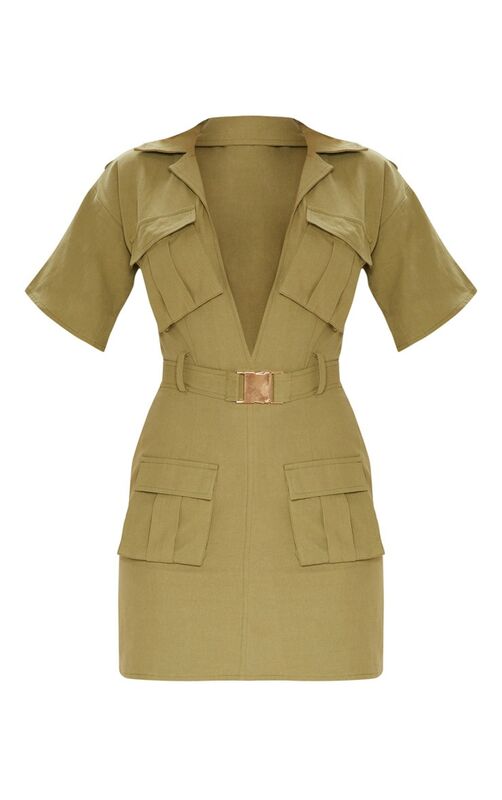 The military trend is our fave this season and this dress is at the top of our hitlist. 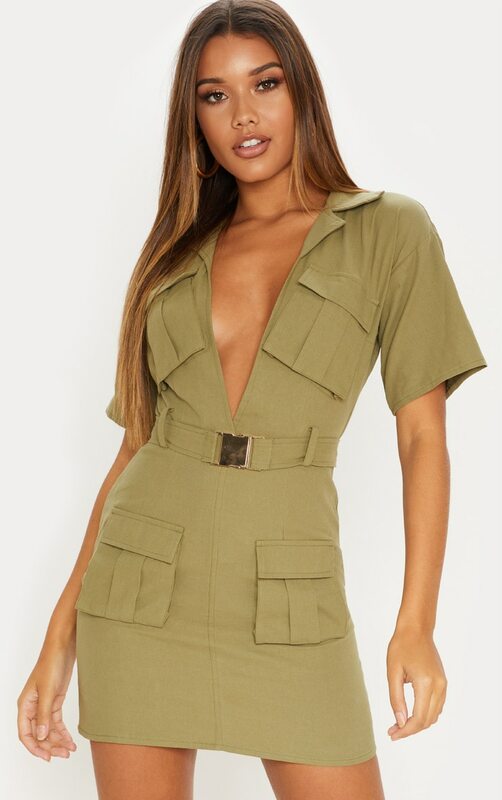 Featuring a classic khaki fabric with cargo pocket detailing, a plunging neckline and gold buckle belt cinching at the waist. Style this dress with some sock boots and statement accessories for a look that will be turning head at that brunch date that you've got coming up.